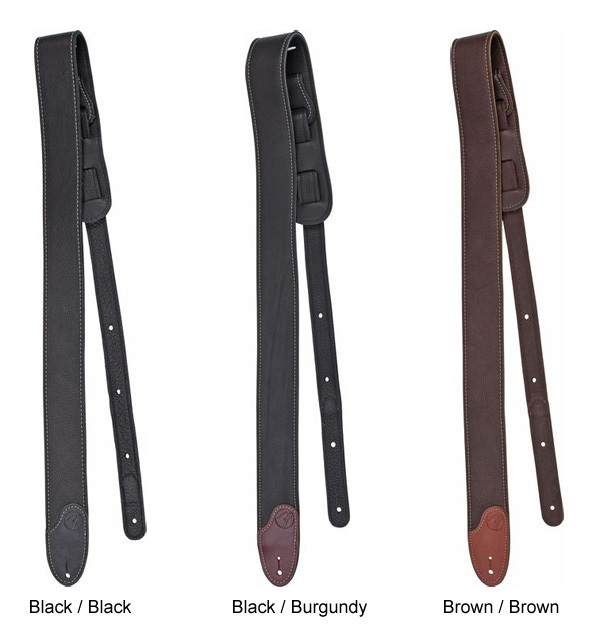 The Fender® 2" Custom HQ Leather Guitar Strap is ultra-soft, top-quality, and multi-layered. The strap features an exclusive "F" embossed attachment end and beautiful contrast stitching throughout. Fully-adjustable.